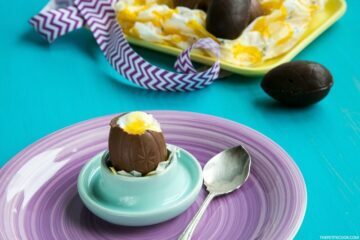 A delicious sweet treat packed with healthy fruits that’s fun to make and takes just 5 min to put together. 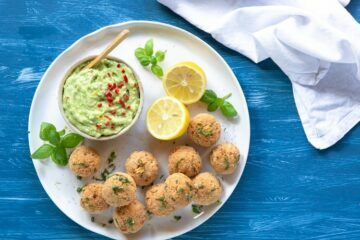 Kids will absolutely love helping around and snacking on it. Ditch the chocolate, and try a healthy take by making a delicious “bark” with yogurt instead. Genuinely good for your body and packed with healthy nutrients, yogurt barks are a fun way to get some extra vitamins in without even noticing. Making yoghurt barks couldn’t be easier. You only need 3 simple ingredients: yogurt + fruit + nuts/seeds. I went for natural greek yogurt, tart raspberries and sweet shaved almonds. Sugar is totally optional, but if you want to sweeten things up mix yogurt with some honey. 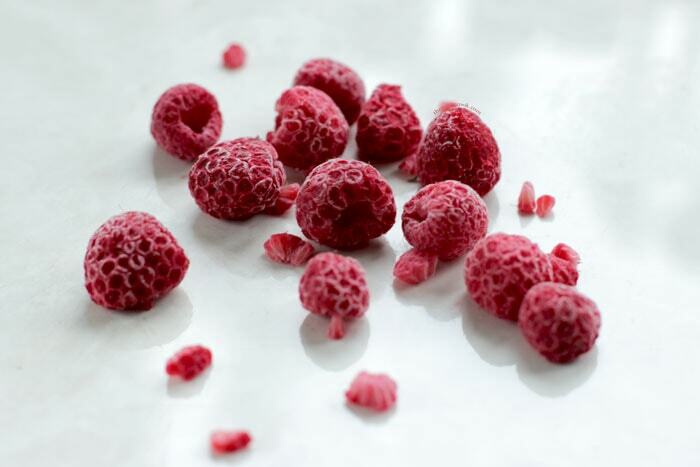 If you use frozen raspberries, simply give them a little pulse in a food processor or Vitamix. 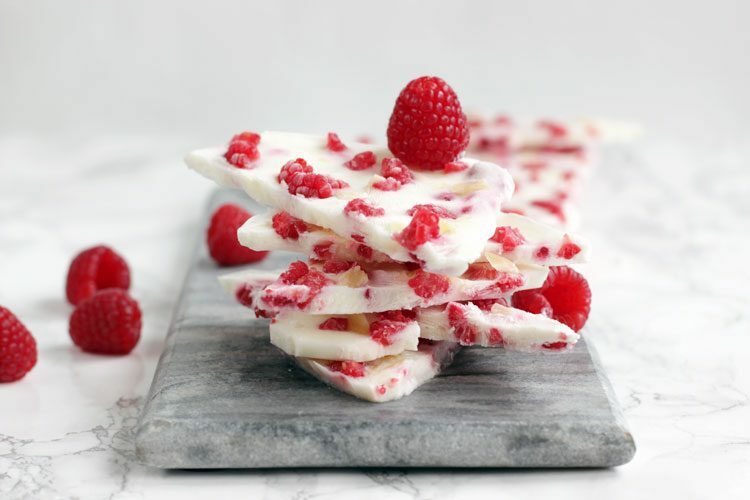 For fresh raspberries, gently chop them into small bits with a sharp knife. 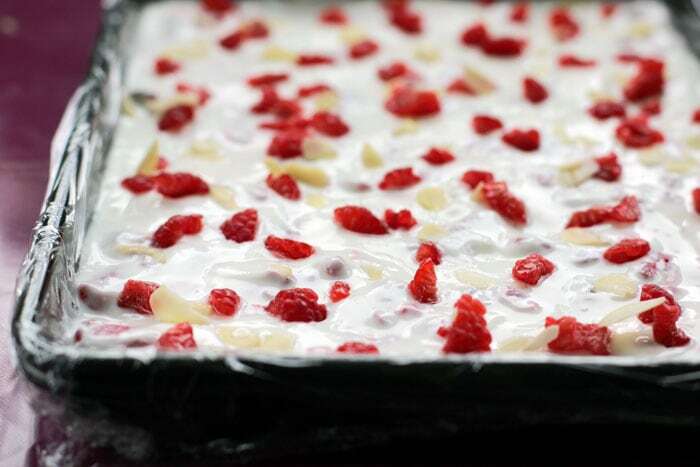 Mix half the fruits with yogurt and spread the mixture over a baking tray covered with parchment paper or cling film. 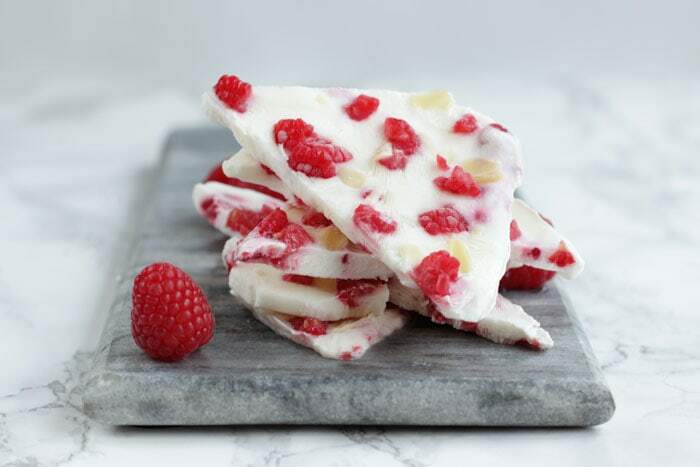 Sprinkle shaved almonds and the remaining raspberries on top, cover and freeze for at least 4 h or overnight. Smartly low-cal, low-fat and gluten-free, these yogurt barks are super easy to customize with your favorite ingredients. I use organic greek yogurt for a rich and dense result, but you can of course substitute with your favorite yogurt pot. 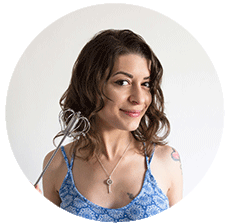 You can use a mix of fruits and nuts, or go for a fruit-only version (which is safe to eat for anyone with nut/seed allergies). 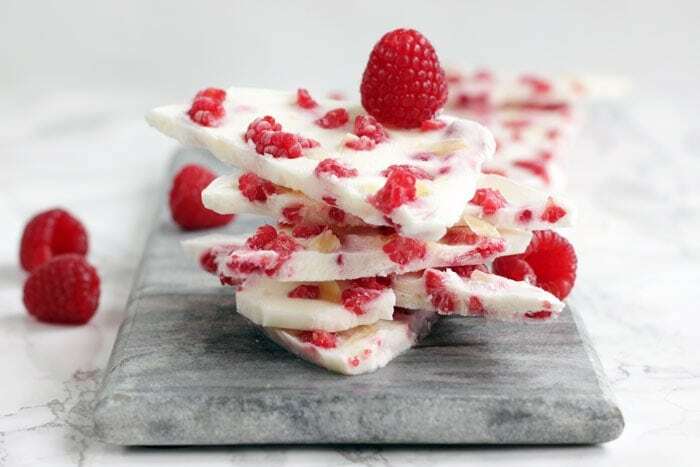 These raspberry yogurt barks are so easy to put together, kids will love to help around and mix all the ingredients together. Serve them at parties and snack time, but make sure you have napkins at hand, these barks melt very fast and things can easily get messy. 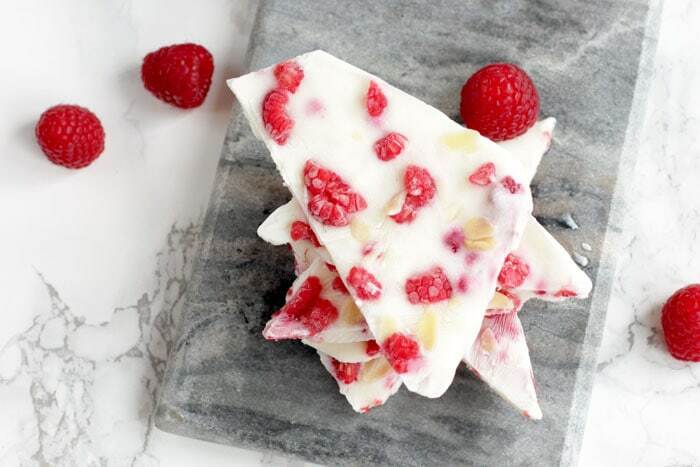 Healthy enough for snacking around during the day, and delicious enough to be served as dessert, these raspberry yogurt barks are the ultimate guilt-free treat made to please both kids and grown-ups! 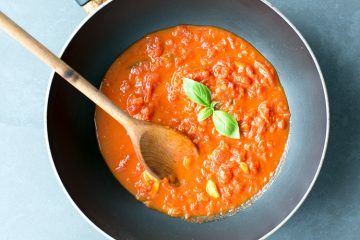 If you try this recipe, let me know what you think by leaving a comment, and don’t forget to tag your photos #thepetitecook on Instagram. I can’t wait to see your creations! 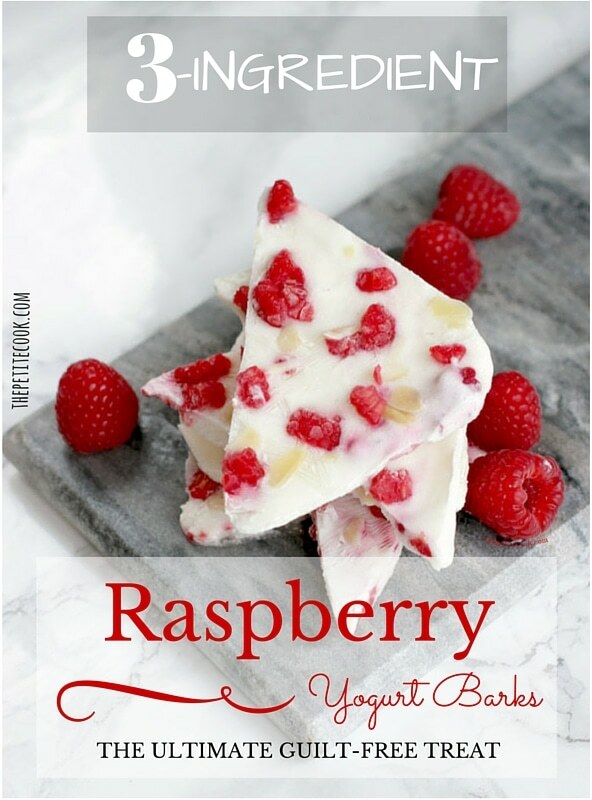 In a large bowl, mix the yogurt and honey until combined, add in half the raspberries. Line a baking tray with cling film or parchment paper. Pour the yogurt mixture evenly over the baking tray, levelling up with a spatula/spoon. 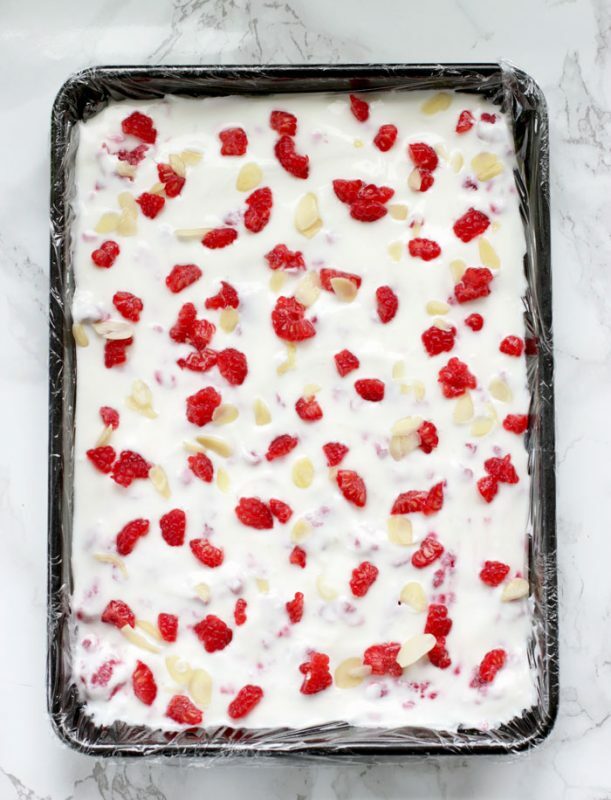 Sprinkle shaved almonds and the remaining raspberries over the top of the mixture. Cover the mixture with cling film and put in the freezer for at least 4 hours. Break into large pieces and serve immediately ( careful, they melt very fast). Store in the freezer, well covered, for up to 1 month. Don't be afraid to try new combinations, mix & max your favorite fruits and nuts!